3D laser scanning a manufacturing plant for equipment relocation. Task: 3D laser scanning provided an as-built floor plan of a manufacturing plant and equipment for facilities management. The client requested a footprint of the existing facility to know exactly how much room they needed to relocate equipment and how much square footage was available to install new equipment. The target objects of data acquisition were the equipment footprints, power drops, guard rails, bollards, two interior crane structures and the location of structural columns. Challenge: The client lacked the necessary data to manage the process of equipment relocation. Multiple large machines were being relocated, they had to ensure that adequate space existed in the new area of the plant. Also, the client did not want manual field measurements to interrupt plant operations. Solutions: In one day on site without disrupting operations, TruePoint 3D laser scanned the manufacturing plant. 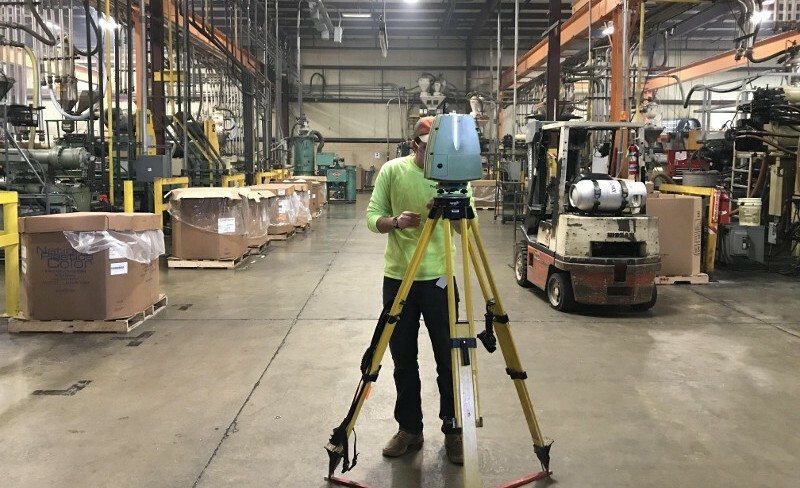 Using a Leica P20 Laser Scanner, our 3D scan technician was able to capture accurate data and dimensions of the existing equipment. Additional laser scanning was done between each machine to ensure dimensional data was captured from every angle. Deliverable: TruePoint Laser Scanning supplied point cloud files in .rcs and .rcp file formats and 2D AutoCAD drawings of plant dimensions and machine locations. Added Value: This client boasts continuous innovation and efficient service. 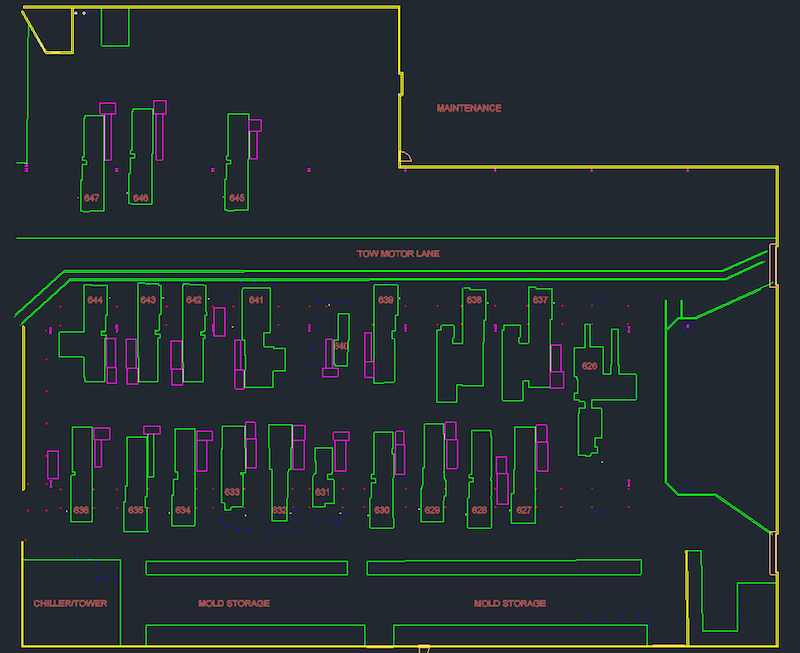 The data provided by TruePoint Laser Scanning allowed this client to relocate their equipment quickly, and install new equipment to better serve their customers. 3D laser scanning saved the client time and money by providing accurate dimensions to expedite this project. For 3D scanning services in Cleveland, Ohio call 216-470-7262 or email cleveland@truepointscanning.com. TruePoint Laser Scanning provides free quotes, fast service and customized deliverables to expedite your project. 2D AutoCAD drawings helped this client manage the process of equipment relocation.